Ross E. Shanberg's legal practice emphasizes the prosecution and defense of wage and hour, discrimination, and consumer protection class action lawsuits. Mr. Shanberg represents both employees and management in all areas of employment law, including harassment, discrimination, wrongful termination, unfair business practices, employee leave and benefits, and wage and hour claims. Mr. Shanberg regularly advises employers on compliance with state and federal employment laws and he has made numerous appearances before California State and federal courts, the California Labor Commissioner and the U.S. Department of Labor in employment disputes. His practice focuses on litigation and includes the representation of consumers and businesses in claims involving the Unfair Competition Law, Consumer Legal Remedies Act, and False Advertising Law. A graduate of the University of California at Berkeley, Mr. Shanberg received his Bachelor of Sciences degree in Business Administration in 1992. 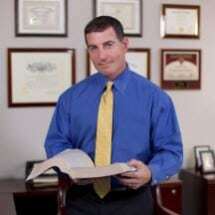 Mr. Shanberg later obtained his Juris Doctorate degree from the California Western School of Law in 1995. He has contributed to the Orange County Bar Journal, HR.Com, and the Los Angeles Daily Journal where he has regularly published articles in the employment field. Mr. Shanberg is also a member of the State Bar of California, Labor and Employment Law Section, Orange County Bar Association, Employment Law Section, California Employment Lawyers Association, American Bar Association, and the Robert A. Banyard Inn of Court. Ross Shanberg has been recognized as an AV rated attorney by Martindale-Hubbell, which is the highest such rating available to any individual lawyer. In 2015, Mr. Shanberg was selected by his peers to the Southern California Super Lawyers, an honor bestowed on only 5% of attorneys in the Southern California area. Member of The National Advocates Top 100 Lawyers: an invitation-only organization that selects the top 100 lawyers in each state in the attorney's area of expertise.